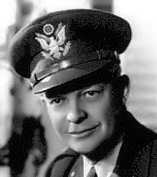 General Dwight D. Eisenhower said that veterans who participated in the Battle of the Huertgen Forest, place that struggle at the top of their list of hard fighting. Without hesitation men of the Fifth Armored put that ordeal at the head of their list. The month in the Huertgen Forest was the darkest period in the division's combat history. While the Fifth Armored was fighting its way through the Huertgen Forest and across the approaches to the Roer River, the Germans on 16 December began their last desperate attempt to attain victory on the Western Front. Just a few miles south of the Fifth Armored's positions the enemy threw three armies, a total of 24 divisions, into a gigantic offensive through the Ardennes Forest. First of the Fifth Armored's combat commands to be committed in the Hurtgen struggle was CC R; it pushed toward the town of Hürtgen and then took Kleinhau, Brandenberg, and Bergstein. Near the end of November CC A entered the fray a little further to the north and nearer to the Roer River; it attacked through Gey, Horm and Kufferath to the banks of the river. CC B, which came into the fight in early December, also made for the river; it attacked through the towns of Langenbroich, Bergheim and Bilstein. 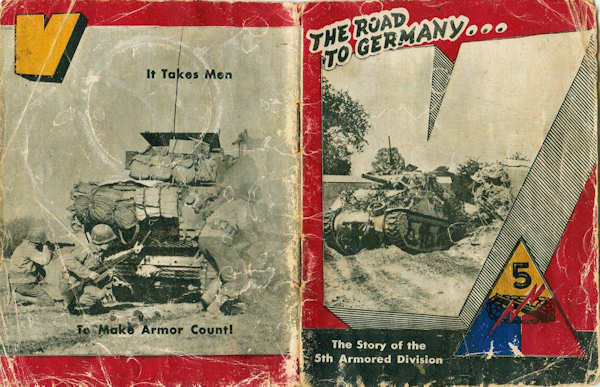 After it completed its mission in the Huertgen Forest, the Fifth Armored was pulled back into Belgium to help block the Germans' drive toward Liege during the Battle of the Bulge.